The 25 Days of Christie: Day 25 — Last Day + GIVEAWAY! Hooray!! We made it! Today is the last day in the 25 Days of Christie! I just wanted to thank you all for playing along and keeping up with my daily ramblings. You have all been so supportive and exciting and to thank you properly I am presenting you with a very special giveaway! Benefit’s “Feelin’ Dandy” Lip and Cheek Kit! This set comes with Posie Tint Lip & Cheek Stain, High Beam Highlight, Dandelion Powder Blush, and Ultra Plush Dandelion Lip Gloss!! I am literally so excited to give this away, it is such a fun little combo of exciting things and of course I LOVE Benefit! 1. 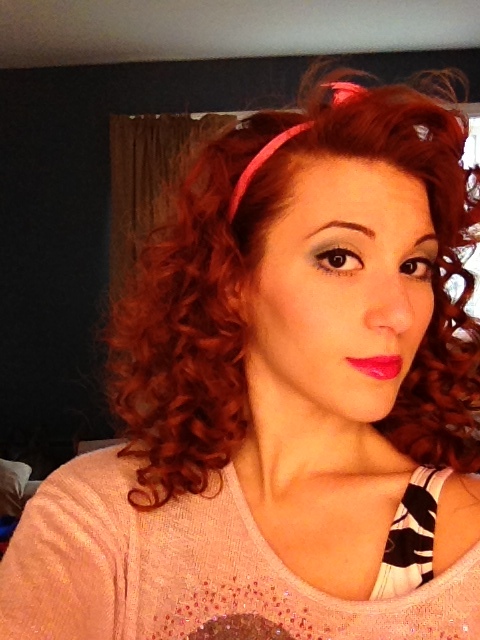 “LIKE” Christie Caiola: Makeup Artist/Hair Stylist on Facebook! 2. Share this blog post on Facebook. 3. Comment on this blog post your favorite thing about the 25 Days of Christie or what you’d like to see in the future on my blog + your full name! *Contest ends 11:59PM Wednesday night. Winner will be drawn Thursday morning. Facebook is in no way responsible or involved in the contest process. 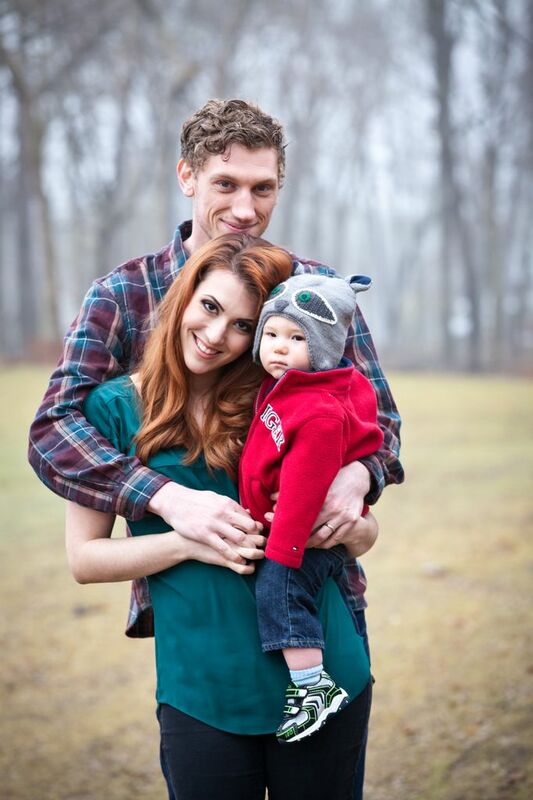 So, to conclude my list of favorite things, I felt it was only right to pay tribute to my amazing family. 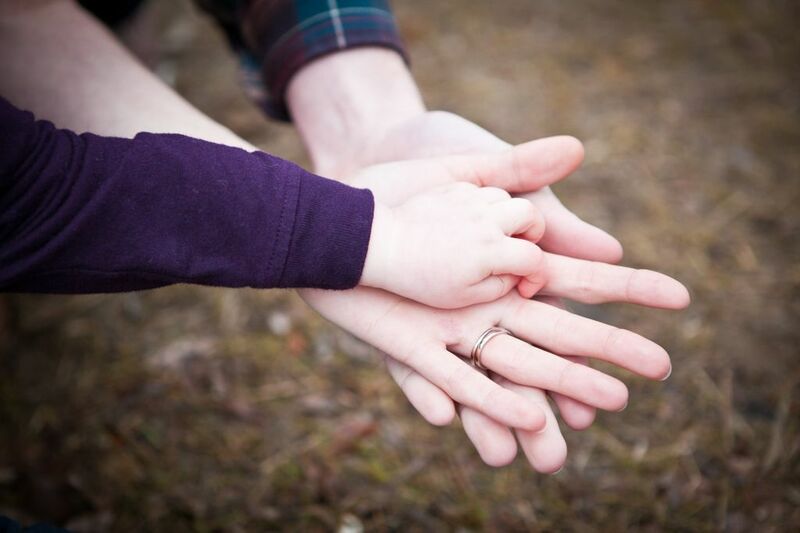 It is because of my husband’s support and encouragement that I am able to do what I do. Without his help, I wouldn’t be where I am at all. On numerous occasions he has woken up with me at the crack of dawn to help me pack up and carry my bags to my car for an early wedding or shoot, he’s cleaned my brushes for me and even accompanied me on shoots that I wasn’t too sure about. He has always supported my career and cheered me on, even when times get tough and when I’ve second guessed my own abilities and choices. This is an extremely hard career path, mainly because it is freelance. There have been so many bumps in the road and failures, but all have led me to where I am today. If I didn’t have the kind of support I have in him, I would have quit long long ago. 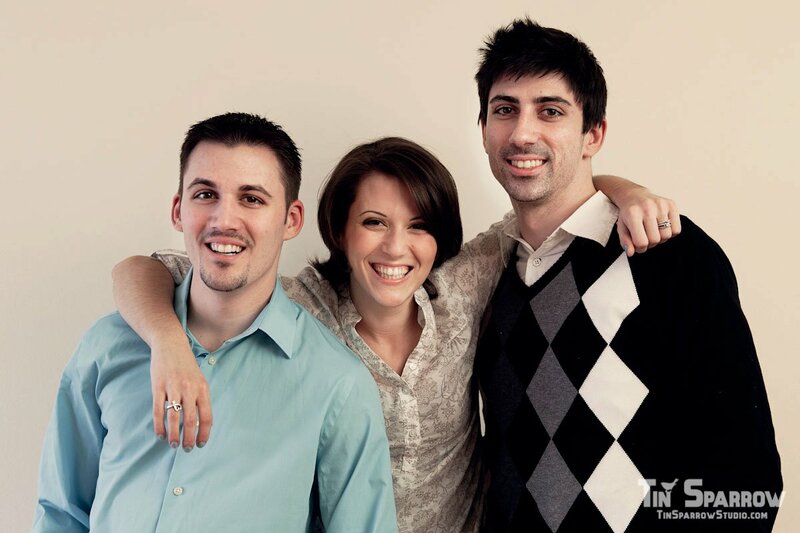 On top of my amazing, supportive husband, I can’t post about the possibility of my career without also paying tribute to my parents and brothers. I first started doing makeup when I was in high-school and my family pushed me and encouraged me to go towards an unconventional way of life. They never tried to steer me towards what society felt I should do, but let me follow my dreams and were always my number one fans. I pursued makeup school instead of a college degree and couldn’t be happier. I also recall my brothers driving me to the city and helping me learn my way through the subways, trains, and buses so I wouldn’t be discouraged and afraid of what I didn’t know. Today, I am a transit master ;). And of course, last but not least, my adorable son. He may not have anything to do with my makeup career but he is absolutely one of my all-time favorite things :). He is a blessing and so full of life and personality. I am so grateful to have the career that I have where I can be home with him most days and still have a freelance career. He is so loving and so stinkin’ cute! Well, I hope you all enjoyed my 25 Days of Christie. It was a pleasure to bring you my favorite things and to spoil some of you with some giveaways! Don’t go too far away, because I will soon be launching a new series of posts– any guesses on what it will be?! Ooooooh, you’ll have to stay tuned! Throwback Thursday! So Calvin has mysteriously slept in this morning and enabled me to spend my time doing a bit of research for today’s post. It will be mostly photos but I won’t lie, I had a blast with this one. I am taking a trip back to the 70’s, a nice stark contrast to our last two 1950’s-60’s ladies. 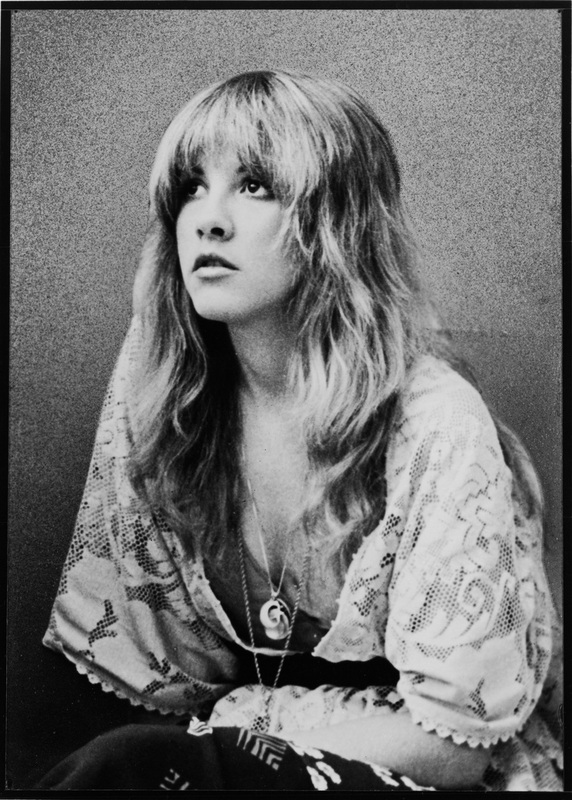 Beauty seemed like it was so much more natural in the 70’s, a less-is-more kind of thing. It is always fun to check out the trends of yester-years and recognize how they’ve influenced our trends today. Alli MacGraw– Center part, straight, natural hair. Strong, natural brows. Fresh faced. Jacqueline Bisset– Are those freckles I see?? Clean, natural skin with some natural freckles showing through. 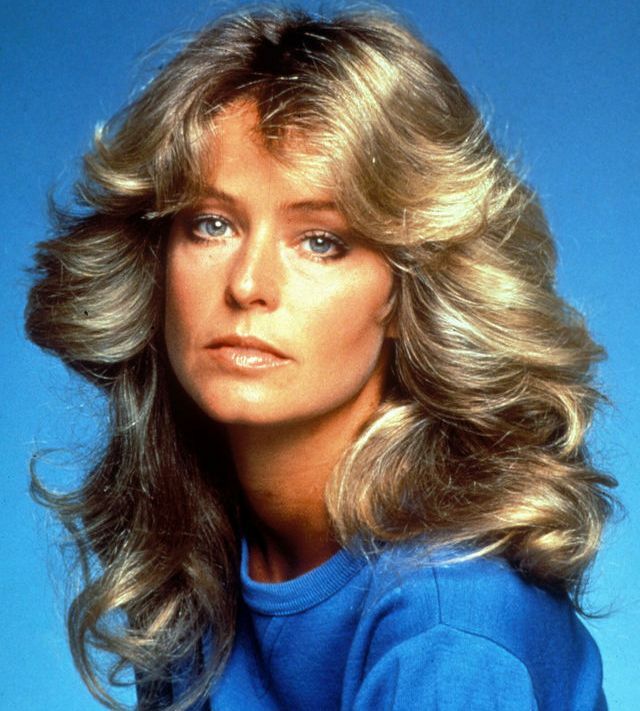 Ferrah Fawcett– Okay, maybe her hair required some work. But Still fresh makeup. Natural and glowing. Muted lip. Hope you loved these as much as I did this morning! Bear in mind that I am not a child of the 70’s, so I cannot speak from experience. But if you were there and have some trends you loved (promise I won’t call you old) or see coming back around, feel free to comment below. So, that’s all for today folks! I hope you are having a great Thursday! The 25 Days of Christie: Day 20 + Contest WINNER! Wisdom Wednesday!! Ahh, time for me to once again impart some type of makeup wisdom upon you all. I know I have posted on this before, but I might as well make a blog post about it. What the heck is BB Cream?! I get asked this question at least once a day. Seriously. I will brief you all on BB Cream and what it’s all about. Get ready for this. BB Cream stands for Beauty Balm or Blemish Balm. The word on the street is that BB Cream was originally formulated to heal scars from plastic surgery by a dermatologist in Germany. The thought being– if you will be putting foundation, concealer, whatever to cover up the scars you have– why not create something that both conceals, heals and protects??? Brilliant. So simple, yet so brilliant. Now of course, we’re always the last to know but Korea took this and ran with it when it was introduced in 1985. There was, at first, just one or two brands making BB Cream and everyone was using it. Then word got out about how amazing this stuff is and how marketable and everyone jumped on the band-wagon. It has been huge in Korea for a while before we, in the US, decided, HEY! I want that too. In 2012 just about every cosmetics company in the US created some variation of BB Cream and they’re all massively different. In my research I found that there are many that claim the US BB Creams just don’t stand up to what the Korean ones pioneered. They are selling it under the name BB Cream, but are tinted moisturizers at best– essentially lacking all the wonderful skin treating and healing properties a true BB Cream is meant to represent. Have I tried every single BB Cream? No. Will I? I seriously doubt it. Can I vouch for this claim? Meh. But I can say what I have found in my searching. I have tried Urban Decay’s BB Cream and Christian Dior’s BB Cream among the US brands right now and I am absolutely stunned at the massive difference. UD’s is barely even a tinted moisturizer, it comes in one color and has little to no pigmentation. No coverage. It is hydrating… but so is my moisturizer. I don’t get it. Christian Dior’s had better coverage and was hydrating, but still not heavy enough to where I’d consider wearing it without foundation. It was bordering a tinted moisturizer. Literally, vastly different formulas under the same name of “BB Cream”. I needed to see what the hype was about with these Korean brands so I did. I ordered my Missha Signature Real Complete from Amazon, one of the top names of the Korean BB Cream market. I’ve noticed a huge difference between the few that I’ve tried from here and my Missha. It has way more coverage, enabling it to be worn alone as a foundation substitute. It is hydrating and healing, I feel like I’ve seen huge improvements in my skin overall. I have to say I am a huge fan. What I have concluded from my research is that, fortunately, BB Cream is not a hoax or a scam. While it sounds too good to be true, it lives up to its name and with anything it’s about finding the right brand for you. If you have tried any BB Creams, US or otherwise, feel free to share your opinions! Love to hear ’em. I love my irons, I have four– a 1/2 inch, 3/4 inch, 1 inch, and 1 1/2 inch. They’re all marcel, except the 1 1/2 inch and they’re all gold plated. 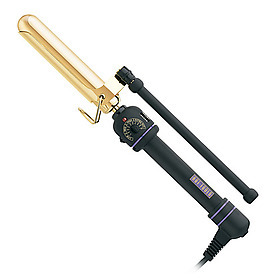 They heat fast and create some bangin, long lasting curls. The tools are extremely important when it comes to getting a good, long lasting style. A marcel is when an iron doesn’t have a spring clip, so instead of feeding it through the bottom and rolling it up and waiting, you feed it through from the root and pump it with your fingers. Takes some getting used to but it’s pretty wonderful. Last but not least… the winner for Makeup Monday Giveaway!!! Thanks for playing along my friends!!!!! This upcoming Monday is the last giveaway and the final day in the 25 Days of Christie! It might be a big one ;). I hope you all have been having as much fun as I have with this goofy excuse to post as much as I have heh. The 25 Days of Christie: Day 18 + Giveaway!! MAKEUP MONDAY!! I love Makeup Monday– it’s kind of my favorite day in the 25 DoC. A full sized Buxom Full Bodied Lip Stick!!! 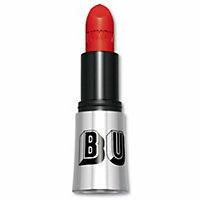 Don’t be alarmed, this lip stick does not hurt or tingle, but it does make your lips look and feel fuller and smoother. 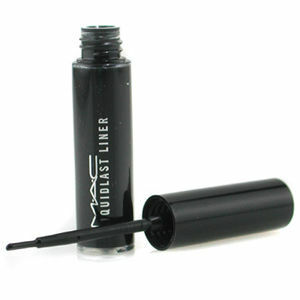 It is hydrating, soft and long lasting with a great color payoff. Now, here’s the catch. YOU get to pick your own color if you win!! So, enter the contest by following the rules below and I will announce the winner tomorrow. If you win, I will send you the link to see the color swatches and you can send me your choice along with your info. 1. “Like” my Facebook fan page if you haven’t already. 3. Comment on this blog post any product that you’ve been dying to try along with your full name. *Contest ends 11:59PM Tuesday night. I extended it to Tuesday night since I posted this so late! Winner will be drawn Wednesday morning. Facebook is in no way responsible or involved in the contest process. 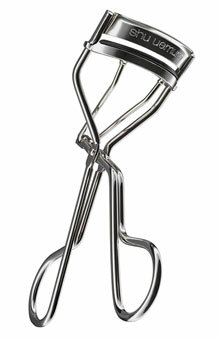 I love this curler, it works on everyone’s lashes even the tiniest and straightest. It is well known in the industry and for good reason! It can’t be beat! Only ONE MORE WEEK of the 25 Days of Christie– and one more giveaway. I have a feeling the last giveaway might be a big one ;). Stay tuned! Sorry for the late post today. Hubs and baby are sick =(. Have to keep this place together! The 25 Days of Christie: Day 16 and 17, St. Patty’s Day + 80’s Themed Lingerie Party?? Whoa, this is one jam packed post. I hope you’re ready for all this. So, I missed posting yesterday (my first miss in the 25DoC so far– not bad) so I am playing catch up as well as posting some fun pictures from a party I had the pleasure of attending for a very lovely and beautiful friend of mine and wishing you all a happy and safe St. Patty’s Day. Yesterday was a full day. 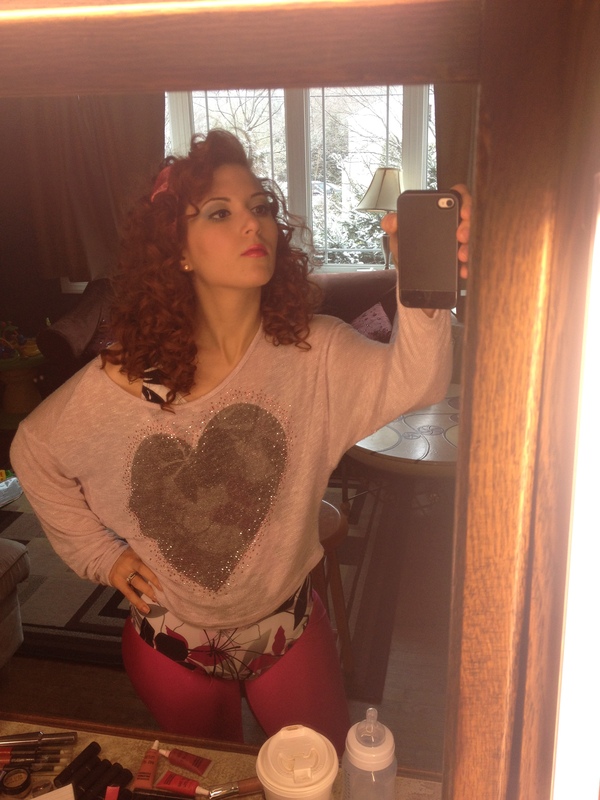 I had a makeup trial for a beautiful May bride, Linda, in the morning and then got ready for a fun filled night of Madonna, bad hair, and hot pink pants (okay, maybe I was the only one guilty of the bad hair and the hot pink pants…). Something about the 80’s and showering someone in lingerie makes me a little out of control. I may have embarrassed myself, no alcohol needed. I’m pretty sure there’s video of me somewhere leading a group of women in a “choreographed” (not really) dance to I Wanna Dance With Somebody that I pray never surfaces. However, there will be some gems circling the internet one way or another, might as well break the ice. NOW for the favorite things that I missed! 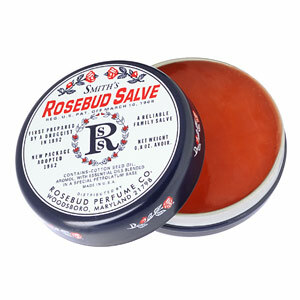 I love my Rosebud Salve, it is something I gift to people no matter the occasion and something I always have on hand (or three or four in various different locations around my house, car, purse, whatever). It is light, wonderful and magical. Yes, magical. I love my Dr. Lipp but this to me will never be replaced. 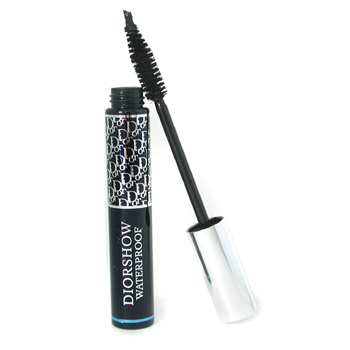 It is also a little glossy so it gives your lips a nice shine as well as conditions and protects. Joy. Now, my Missha BB Cream is out of this world. Out. Of. This. World. And, quite literally, out of this country since it’s sold in Korea. I know I’m insane but I’m so glad I ordered this it has not disappointed. It feels wonderful on my skin, it has light coverage but surprisingly is buildable. 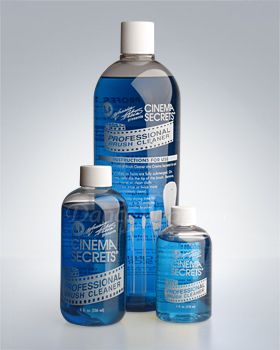 It treats and heals as well as protects from sun damage. I am over the moon for this product and know so many women that I’ve recommended this to that love it just as much. I have been testing out many different types of BB Cream from the states and haven’t found one that compares to my Missha. Whew, a mouthful! Well, hubs has the flu it seems so I will be caring for my poor sniffly, achy man today. Enjoy your Sunday everyone and prepare those clicking fingers for tomorrow’s MAKEUP MONDAY GIVEAWAY!!! 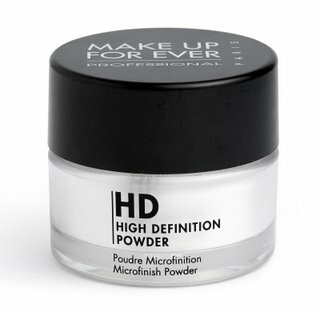 This powder is great on all skin tones and types. It is super super fine, so it doesn’t leave a powdery residue. 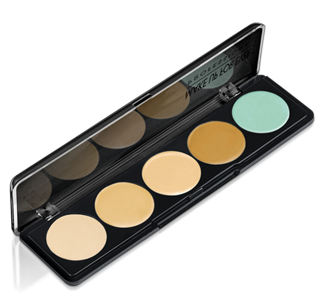 It gives your skin a polished off finish, takes away shine and sets your foundation. A wonderful wonderful thing. Loveeeeee this.